Bob Litterman recently retired from his position as Chairman of the Quantitative Investment Strategies group of Goldman Sachs Asset Management. Bob is the co-developer, along with the late Fischer Black, of the Black-Litterman Global Asset Allocation Model, a key tool in the Investment Management Division's asset allocation process. Prior to moving to the Investment Management Division, Bob was head of the firmwide Risk Department. Preceding his time in the Operations, Technology & Finance Division, he spent eight years in the Fixed Income Division's research department, where he was co-director. Before joining the firm in 1986, Bob was an assistant vice president in the Research Department of the Federal Reserve Bank of Minneapolis and an assistant professor in the Economics Department at the Massachusetts Institute of Technology. In May 2008, Bob was honored by the CFA Institute Board with the Nicholas Molodovsky Award, which is presented periodically to individuals "who have made outstanding contributions of such significance as to change the direction of the profession and to raise it to higher standards of accomplishment." Bob was also the recipient of the 2008 International Association of Financial Engineers (IAFE)/SunGard Financial Engineer of the Year Award, which recognizes individual contributions to the advancement of financial engineering technology. Bob is a member of the board of the World Wildlife Fund. He earned a BS in Human Biology from Stanford University in 1973 and a PhD in Economics from the University of Minnesota in 1980. Bob and his wife, Mary, live in Short Hills, New Jersey. We Take Great Pleasure in Announcing our Inductees for the 15th Annual Hall of Fame Induction Ceremony! Visit our website to buy a seat at the upcoming Hall of Fame dinner. For more information or to sponsor a table contact Lauren A. Nauser, or 212-726-8100 phone. 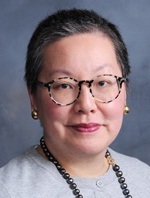 Kitty Yoh joined GE Capital Corporation in 1990 and is currently the Deputy Treasurer for Long Term Funding. In that capacity, Kitty manages the global senior debt funding programs and has responsibility for all other capital securities. Prior to GE, Kitty worked at a number of investment banks in their capital markets departments. Kitty holds a BA in Economics from Barnard College and an MBA in Finance from the Columbia University Graduate School of Business. 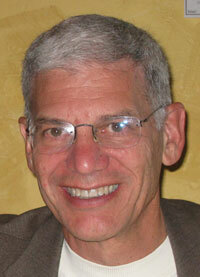 Robert Levine, CFA, recently left Nomura after nearly twenty years. He was President, CEO, CIO of Nomura Corporate Research and Asset Management, Inc. ("NCRAM"). In 1991, Mr. Levine founded NCRAM as an analyst-driven research boutique in below-investment-grade debt. 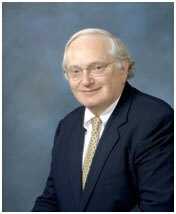 He served as NCRAM's President and CEO continuously since its founding. Mr. Levine was originally the Portfolio Manager for High Yield, and then served as the Chief Investment Officer for all NCRAM portfolios. In these capacities, he led NCRAM into expansion in the areas of Emerging Market Debt and Syndicated Bank Debt. Prior to his position at Nomura, Mr. Levine was with Kidder, Peabody, Inc., for thirteen years, most recently, as President of Kidder Peabody High Yield Asset Management, Inc. ("KPHYAM"). Formerly, he was a Managing Director of the Merchant Banking Department and Director of Research at the Kidder Peabody High Yield Research Department, where his publications included, "The High Yield Sector Report," a frequent analysis of the high yield market, focusing on portfolio strategy and bond selection. Mr. Levine is a CFA Charter Holder, a past member of The Association for Investment Management and Research ("AIMR") Accounting Policy Committee, a past Director and past President of the Fixed Income Analysts Society, and past Chairman of the Fixed Income Analysts Society annual Bond Conference. He earned his MBA from the Wharton School of Finance and his undergraduate degree from The City College of New York. Mr. Levine was a student instructor in the MBA program at the Wharton School and his been an adjunct professor at the Graduate Business School of New York University.